The 2019 Audi RS 5 Sportback at Fort Washington in Pennsylvania - serving Philadelphia & Main Line - features aggressive power and a stunning, race-inspired design. 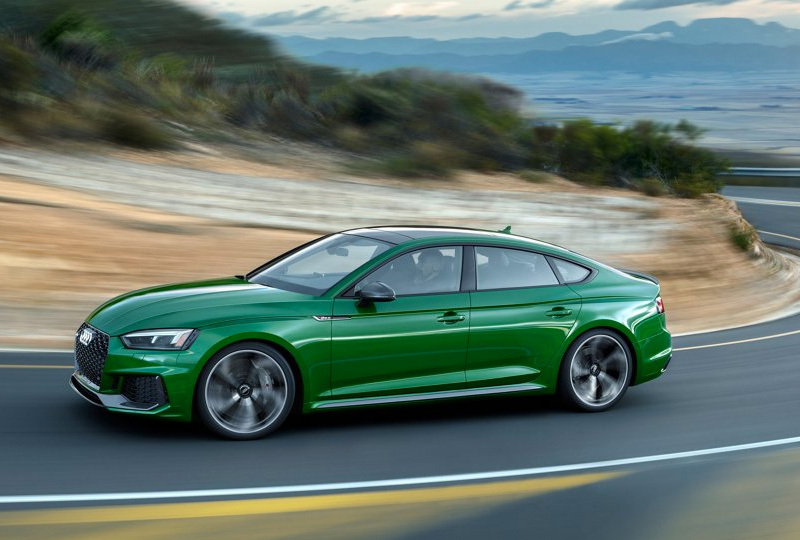 Refreshed and ready to go, the new 2019 Audi RS 5 Sportback was made to stand out with a wave-design shoulder line and a Singleframe grille that shows off a honeycomb pattern. The RS-fixed suspension works flawlessly with the 2.9L twin-turbo V6 engine to provide athletic handling and a unique driving experience. Fuel your adventures with the strength of 444 horsepower and take your RS 5 Sportback off the beaten path with standard Quattro®all-wheel drive. Become fully immersed in the remarkable interior that has all technology you need and the comfort you crave. Leather seats give you the VIP treatment while intuitive features, like the Audi Virtual Cockpit, maintain your control. Don't forget about the entertainment and navigation features at your command with the MMI Touch controller. The new 2019 Audi RS 5 Sportback is coming to our dealership soon, so sign up to get updates and be the first to know when it arrives. Visit our showroom at 428 Pennsylvania Avenue, Fort Washington, PA, 19034. The spirit of the racetrack can be seen and felt in every ounce and outing in the new Audi RS 5 Sportback. The wave-design shoulder line underscores its athleticism along the body line, and flared fenders nod to the quattro® all-wheel drive while striking a wide, prominent stance. 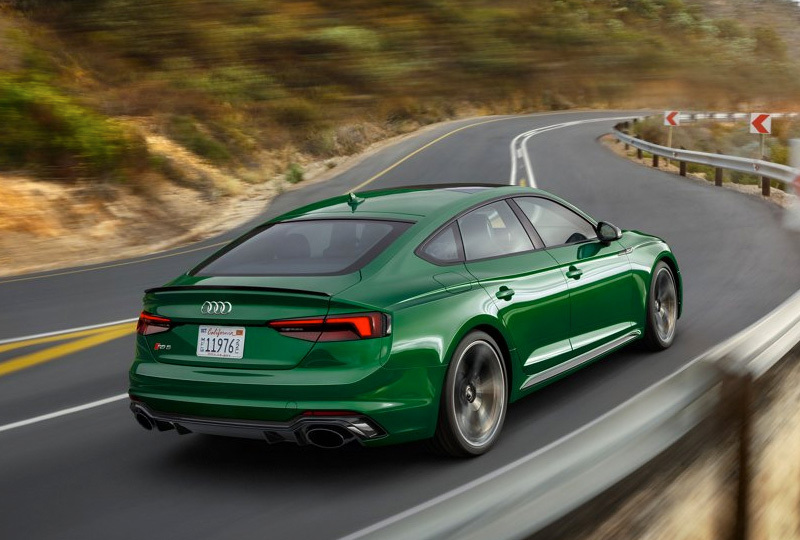 The Audi RS 5 Sportback features advanced quattro® all-wheel drive technology. The system has a variable torque split that can intuitively send power to where it's needed, helping to enhance performance and traction as road conditions demand. Available quattro® sport differential enhances handling performance even further with its torque-vectoring capabilities. The available Audi virtual cockpit can make for a highly elevated driving experience with a fully digital 12.3-inch instrument display that allows the driver to customize information such as navigation and audio, offering Classic and Infotainment modes as well as Google EarthTM. The RS 5 Sportback has a third option: Sport mode, which displays a large, central tachometer and performance statistics, such as a lap timer, horsepower and torque gauge, G-meter, and if equipped with the Dynamic plus package, tire pressure and temperatures.